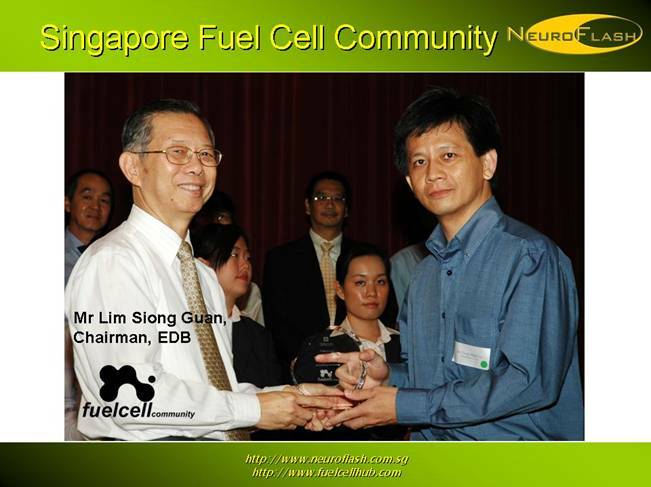 March 2009, the 1st High Performance Electronic Controllable 5KW PEM Fuel Cell Power Unit Was Successfully Commissioned in Singapore--Nanyang Technological University (School of EEE) • 4th Dec 2009, the Complete Integrated System of 1KW PEM Fuel Cell Electrical Power Generator with Hydrogen Leak Detecting System were Successfully Installed and Commissioned in UTM (Universiti of Teknologi Malaysia, Skudai)--The Faculty of Electrical Engineering. • Design & Build A Single-Axis PV (Maximum PV Modules Installed 3 X 175Wp Monocrystalline PV) Tracker for Ngee Ann Polytechnic was Delivered in Oct 2009 • To Supply & Install ITE (Dover Campus) Project for Roof Mounting of 200W Vertical Axis Wind Turbine (VAWT) System at 4th January 2010. • Shell Eco-Marathon 2010 (Solar-Powered Motors Category)--Supply a Complete Flexible PV system to ITE (Dover Campus). • Shell Eco-Marathon 2010 (Electric Motors Category)--Design, Supply & Install a Complete PEM Fuel Cell Powered System for ITE (Dover Campus). • Two-Sets of 99.9999% @ 500 ml/min. (max. delivery pressure at 6 bar) Water-Electrolysis Hydrogen Generators were installed and commissioned in Nanyang Polytechnic in Dec. 2010. • Self-Sustainable Solar-Hydrogen Fuel Cell System--Design, Supply & Install an Integrated 300W PEM Fuel Cell Powered System, 4X900NL Canisters & 60slph Water Electrolysed Hydrogen Generator for ITE (West Campus) in April 2011. 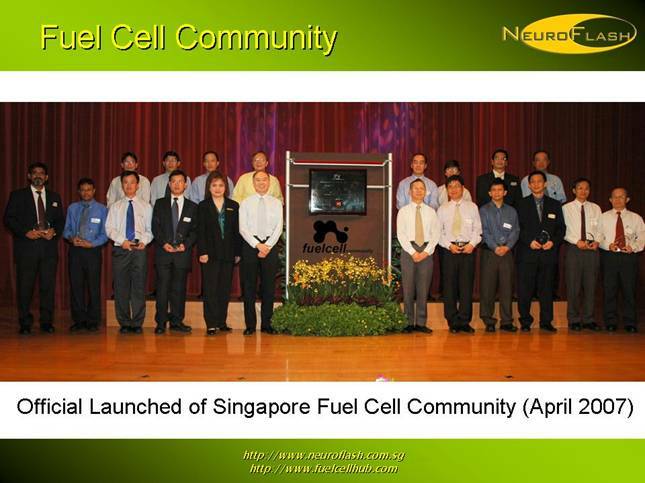 • NeuroFlash had designed and delivered the Fuel Cell R&D Kit to Nanyang Polytechnic in May 2011. 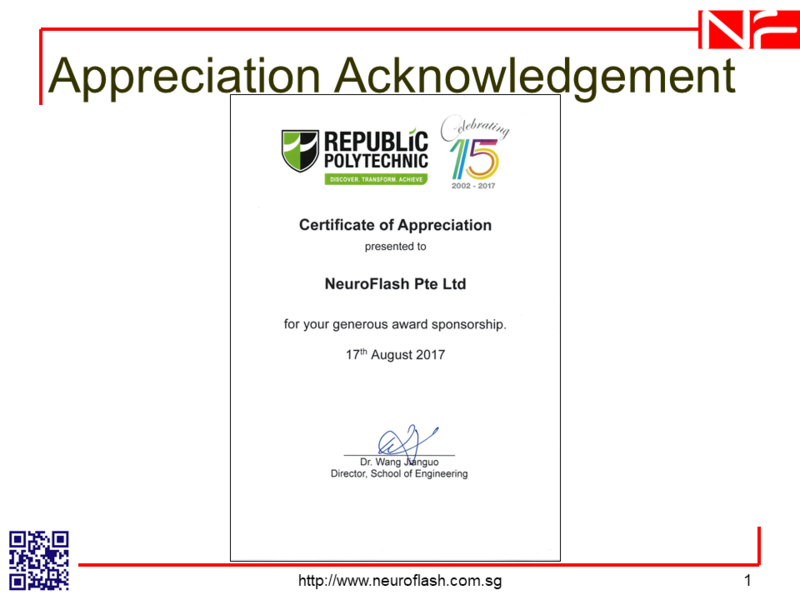 • Successfully Delivered & Commissioned a System of PEM Fuel Cell Test Station for Republic Polytechnic (School of Engineering) at 28th October 2011. 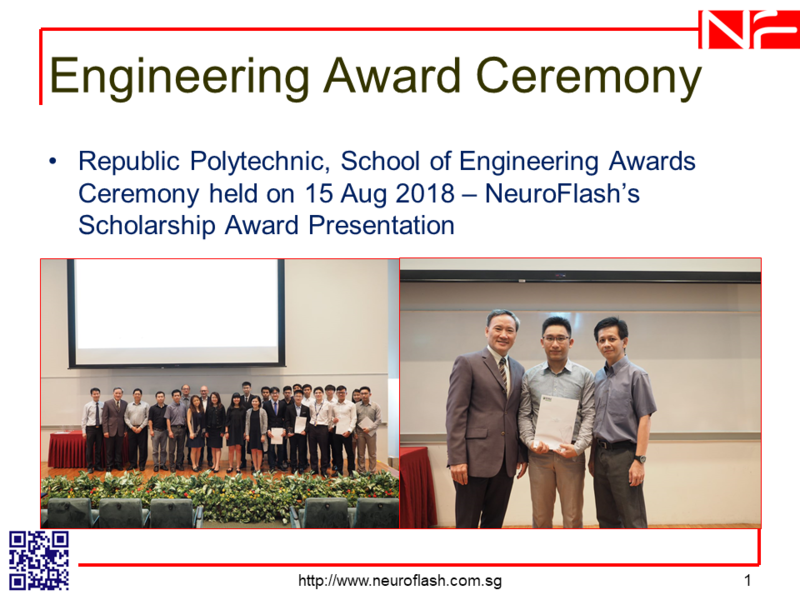 • Completion Work of Retrofitted and Modified the Nanyang Polytechnics (School of Engineering-Life Science & Chemical Process) Existing PEM Fuel Cell Monitoring Station at 9th November 2011. • 22nd Aug. 2013, delivered 40-sets of 95Wp Mono-PV to Nanyang Technological University (Earth Observation Lab). • 12th Dec. 2013, Solar-Powered Water-Mill Project for Kranji Primary School. 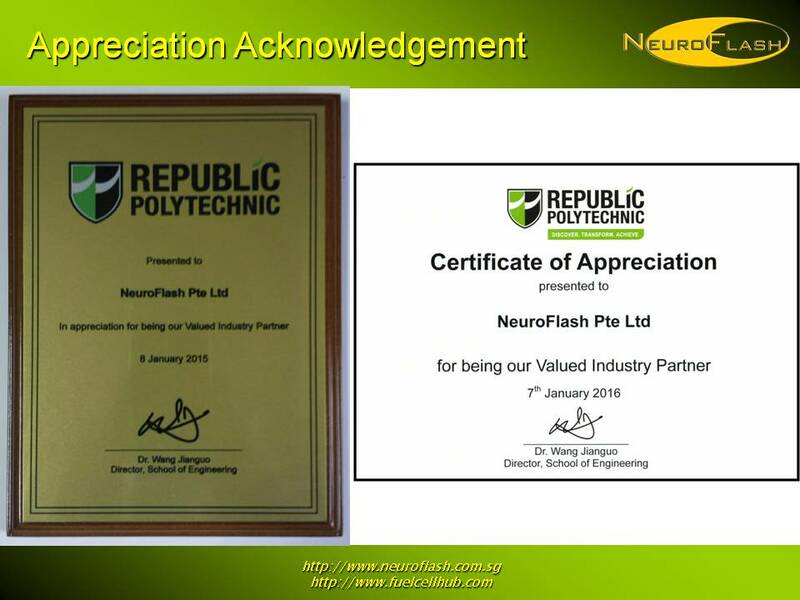 • 13th Jan. 2014, delivered 20-sets of 95Wp and 2-sets of 50Wp Mono-PV to Nanyang Technological University (Earth Observation Lab). • 14th July 2014, delivered 60-sets of 100Wp Mono-PV to Nanyang Technological University (Earth Observation Lab). • 28th July 2015, Completed the Project (PV Solutions for Pond Pump and Charging Station) for National Junior College. • 22nd Oct. 2015, Completed installation of Wind-Solar Hybrid Power System for Temasek Junior College. • In Dec. 2015, Supply & Delivery a package of 500W PEM Fuel Cell System, DC-DC-Converter, 1000W Supercapacitor & Hydrogen Leak Detector for Shell Eco-Marathon 2016 (Electric Motors Category--to ITE (West Campus). Sign up as our member today! Forget password? Click here to retrieve. Home | News & Events | Services | General Info | Eco Corner Copyright © 2007 TameSoft. All Rights Reserved.